One of the greatest joys of creating in the studio are pieces of artwork that have sentimental value, especially for us. 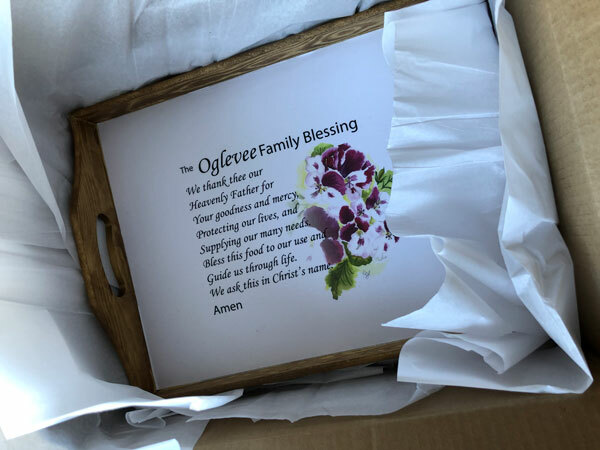 Not only were we privileged to fulfill this request, but the Oglevee family is very dear to our hearts. This particular piece was created for the daughter of the gentleman who took the Oglevee geranium and made it a hold house name world-wide. 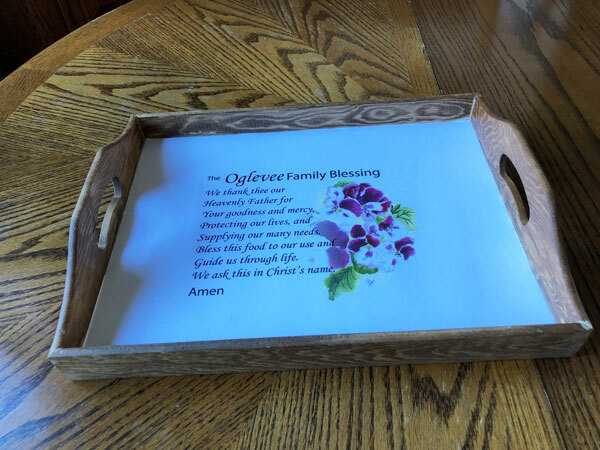 It was an honor to paint this regal geranium in watercolors, add the family’s blessing to it and decoupage it into serving trays. Not only did J. Robert Oglevee produce the world’s best geraniums, but he also was a most respected leader and employer. We know first hand, not only from the awards and accolades he collected, but because we were blessed to be employed by him at one point in our lives. Even though he is no longer prospering the world around him, his offspring still are. 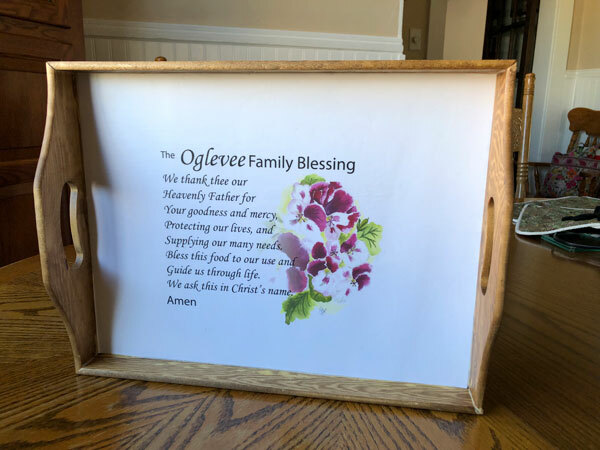 We love you Oglevees! Order your custom artwork today!